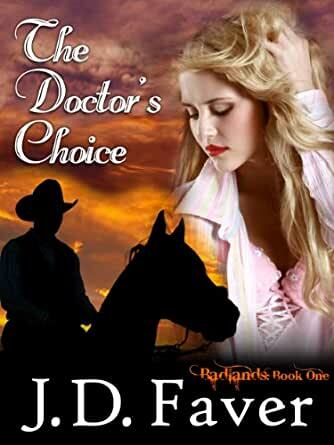 The Doctor's Choice~Badlands (Contemporary Western Romantic Suspense) - Kindle edition by J.D. Faver. 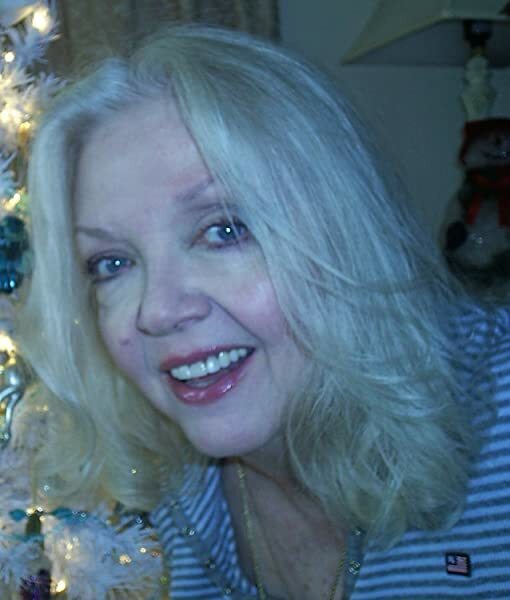 Romance Kindle eBooks @ Amazon.com. Will she choose love or money? The Cowboy or the City? The murder of her only relative forces Camryn Carmichael, a lonely young doctor, to choose between her dream career in a Houston research hospital and a rural practice close to rancher, Breckenridge T. Ryan the infuriating man she loses her heart to. Cowboys, murder and romance. Oh, my! When her suspicions about her great-aunt’s death prove to be true, she resolves to uncover the villain herself. Breck tries to convince her that the community needs her just as much as he does, but when she uncovers a decades-old crime, she puts her own life is in danger. Threatened by the diabolical killer and a ‘blue norther’, will she survive long enough to tell the tale? After returning home for her Aunt Silky's funeral, lawyer Breck tells Cami her aunt left everything to her with the proviso that she live on the ranch for one year. If she didn't, the ranch by default would go to Breck, whose family owns the neighboring ranch. Cami is stunned. Her fiancé and a fellowship she'd worked hard to land are back in the city, but her fiancé convinces her to stay and sell the ranch in a year, the inheritance, millions of dollars, will be worth it. Your typical romance with Cami eventually falling in love with Breck, though she's got a couple of other fellows interested in her too. When the town doctor becomes ill, Cami takes over his practice tending to patients. Apparently it had been Silky's hope that Cami would practice medicine there. Good suspense in the novel as Cami discovers her aunt didn't die from a riding accident, it was murder. And she also uncovers the mystery of a family that disappeared 30 years earlier. I would have given the novel 5 stars but some of my pet peeves when using horses in fiction happened in this book. Silky's ranch seems to have several things going on cattle and crops, but nowhere is it ever mentioned that there's a horse breeding operation going on. Come on people, if you are not breeding horses as a business there is no reason to have stallions. Geld them! And what was Breck thinking bringing his stallion over to go riding with Cami and she's on a mare. Use your head Breck. Your big one that is Its spring, you're riding a stallion, Cami's on a mare who's probably in heat. No matter how well behaved your stallion might be even the strongest rider isn't going to stop a determined stallion and a willing mare. The other thing that annoyed me is they're on a large ranch. Aren't there any pastures close to the barn so the horses can be turned out? Its a nice sunny spring afternoon and the barn catches on fire. Everyone races to the ranch to get the horses out of the barn (and there were no horse deaths, thank you, author) but why were the horses stabled inside the barn in the first place. Obviously the stallion needs to be contained, but all the other horses should have been on the pasture. Aside from the annoying thing with the horses, the book was an enjoyable read. After her parents died in an accident, Dr. Camryn “Cami” Carmichael was raised by her Aunt Silky, a tough Texas ranch owner. The story opens at Silky’s funeral which takes place in a small town in the Texas panhandle. Childless, Silky had poured all her love into her niece, sponsoring her through med school and an internal medicine residency in the huge city of Houston, Texas. We soon learn that Aunt Silky’s untimely death will throw a monkey wrench into Cami’s plans to marry her fiancé, back in Houston, and begin a fellowship in medical research. Not only that, but Silky’s lawyer turns out to be a gorgeous hunk of single dream-man who sends chills up and down any woman who sets eyes on him. Silky’s will leaves everything to Cami, provided Cami lives on her valuable ranch for one year. The plot thickens as Cami suspects foul play in Silky’s death. You must buy the book to learn the outcome. Suffice it to say, if you are a fan of romantic suspense, you will not go wrong purchasing this book. Highly recommended. "I warn you," Clay said. "In college, my sport was boxing." He swung his fist at Breck, landing a solid blow to his face. Breck took the punch without flinching and glared coldly at Clay. He licked a trickle of blood from his lip. "In college, my sport was bar brawling." He grabbed Clay's arm and hurled him into the corridor wall. In two strides Breck was upon him, jerking Clay to his feet and slamming him into the opposite wall. Clay slid to the floor, crumpled in a heap. I may re-read this story and look forward to more work from this author. I liked this book for the most part. Things just moved too quickly. In the beginning, the lawyer, Breck, thinks Cami, a doctor, is an airhead. No way, it doesn't fit. Airheads don't become doctors. Then within 2 weeks, Cami and Breck fall in love?! She breaks her engagement to another man and gets engaged to Breck within 2 weeks? No way, it's not plausible with a doctor and a lawyer. They use their brains too much. Then throw in Frank and EJ. For a while I didn't know where the wind was going to blow. I liked the characters, but the pace was wrong. Cami would have dealt with her fiancé herself not left him for Breck to break the news or drive him to the airport. 4.0 out of 5 starsInteresting read. The author surely has has done a great job of putting her lead character in a predicament. The mystery is packed in a good quantity. The way Camryn is torn between the decisions she needs to make, is what makes the story emotional. The situations she faces, like how she gets to move to the rural pastures from her career in the city, and then how she gets sucked up into trailing the killer or her aunt, is quite believable. I would have liked a little more of the surprise element, but it still was a great read. This was a really good book. I enjoyed every minute it took to read it. Yes, it was somewhat predictability, but it had enough surprises to keep you interested. Like so many e-books it did have incorrect words, misspellings, etc. Whatever happen to proof-reading. Just finished The Doctor's Choice-Badlands and am thrilled with the read. This book has the right amount of the elements of romance, love and suspense. It just keeps your attention until the end. I will continue to read the works of J. D. Faver!!!! This was a good read. It had a little of everything to please alot of tastes. Had a little romance, suspense , mystery and medical drama. Not a heavy book just a light and pleasant read which keeps you entertained throughout the story.